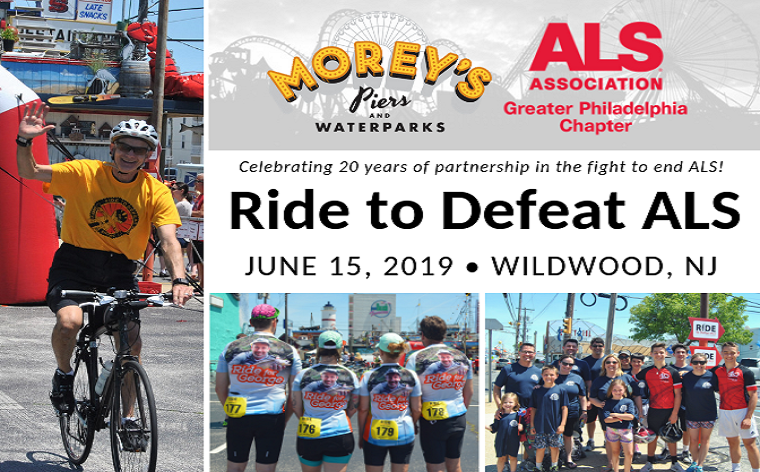 Grab your friends and join us for this opportunity to be a part of the Ride to Defeat ALS as we challenge Lou Gehrig's disease and advance the search for treatments and a cure! RSVP here for our Kick-Off Party at Dave & Busters in Philadelphia on Sunday April 14th at 12 PM! We've raised $19,479.61 of our $150,000.00 goal!